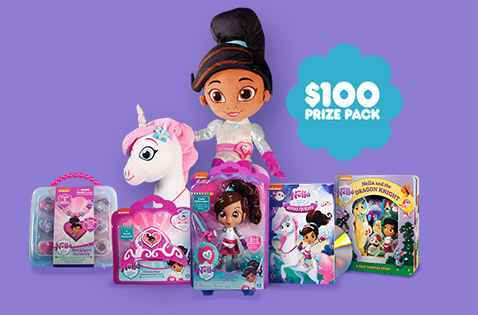 Enter the Nick Jr Nella the Princess Knight Sweepstakes now through July 17, 2018 at nickjrsweepstakes.com for your chance to win Nella the Princess Knight Toy collection valued at $100. How To Enter: During the sweepstakes period go to this link: www.nickjrsweepstakes.com and follow the online instructions to register by entering all information requested on the registration form and once you filled out the entry form now Click on the “Enter Now” button to complete the registration form. Who Can Enter: This Nick jr Sweepstakes is open only to legal residents of the fifty (50) United States and District of Columbia who are eighteen (18) years of age or older at the time they enter the sweepstakes. When To Enter: The Nick Jr Nella the Princess Knight Sweepstakes entry begins at 10:00:01 a.m. (Eastern Time [“ET”]) on July 10, 2018 and ends at 11:59:59 p.m. ET on July 17, 2018. Who’s Sponsor: Viacom Media Networks, a division of Viacom International Inc., 1515 Broadway, New York, NY 10036.